Located on Tarnava Mare river, Sighisoara represents a well known touristic attraction and can easily be named as a true Pearl of Europe. Though a small city with less than 20,000 inhabitants, the historical atmosphere can still be easily detected in the medieval towers, churches and houses, important attraction points for Romanian and foreign tourists. 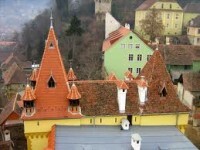 Both new and medieval architecture hotels and pensions provide the best accomodation in Sighisoara. The following hotel and pensions are presented based on my personal experience, therefore I hope they will be compatible with your tastes and expectations. The hotel was built in 1520 being in the past a parochial house and a town hal. The hotel will offer you not only the relaxation and tranquility you are hoping for but also a place to discover important pieces of art. The painting in the conference hall, dating back to 1575 presents hunting scenes. The architecture and furniture objects are different from room to room. Located in the heart of the fortress, guarded by old houses and towers, the Hotel combines the three stars confort and the great taste specific to the previous century. The hotel has 29 chambers and 3 appartments, with their own personality, reflected in the interior and exterior architecture. The guests have wireless internet, guarded parking spaces. What is more relaxing after visiting the main attractions of Sighisoara than going to sauna or to the spa? you will find a modern relaxing center in Sighisoara Hotel. 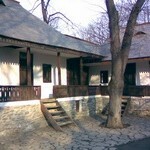 Located in the center of Sighisoara, close to the Clock Tower, Vila Franca is one of the most beautiful pension in Romania. 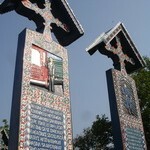 You will see it as you walk along the cobbled streets of Sighisoara. The villa presents a Renaissance mark. Every room seems a small palace. The pension offers an elegant atmosphere but maintains the architectural elements of the former building. The furniture of the rooms and especially the baldaquin bed take us back to the medieval period, in a world of prince and princesses. The pension has double rooms, rooms for smoking and non-smoking persons, small suites. Every time I go to Sighisoara, I rent a room here, it seems to me the best place where I can feel the medieval atmosphere of this lovely city. The princes for a double room can start at 30 EUR but more information about Vila Franca and other wonderful locations you should check on booking.com. I hope these two places managed to stir your interest and you will be as happy as I was when I first stayed here. 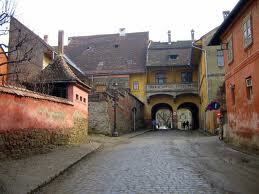 But you should also try to discover new places in the pursuit of the best accommodation in Sighisoara. Enjoy!